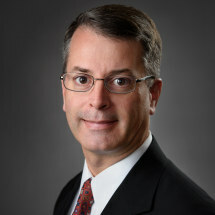 P. Andrew "Drew" Blatt is a Partner with Wood, Herron & Evans and is involved in all phases of the firm's practice. Drew concentrates his efforts on patent, trademark, copyright, and trade secret litigation. Admitted to the Ohio bar in 1998, Drew joined Wood, Herron & Evans that same year. He is registered to practice before the U.S. District Court, Southern District of Ohio, the U.S. Court of Appeals for the Federal Circuit, and the U.S. Patent and Trademark Office. Drew received a Bachelor of Science degree in Aeronautical Engineering from Embry-Riddle Aeronautical University in 1988, a Master of Science degree in Aeronautical & Astronautical Engineering in 1990 and a Ph.D. degree in Aeronautical & Astronautical Engineering in 1993 from Purdue University. He received his Juris Doctor degree from the University of Cincinnati College of Law in 1998. Prior to receiving his law degree, Drew worked as a materials research engineer at a government research laboratory. He is a member of the Ohio State Bar Association, the Cincinnati Bar Association, the American Intellectual Property Law Association, and the Cincinnati Intellectual Property Law Association.